I thought I would absolutely detest this movie, expecting it to be yet another obnoxious Transformers-type shipwreck, but I agree with the 90 vibrating teenagers who whooped and hollered and clapped their hands for 140 solid minutes, one of them proclaiming at the end, "Fantastic! I loved it!" I did, too, and I cannot wait to see it again. 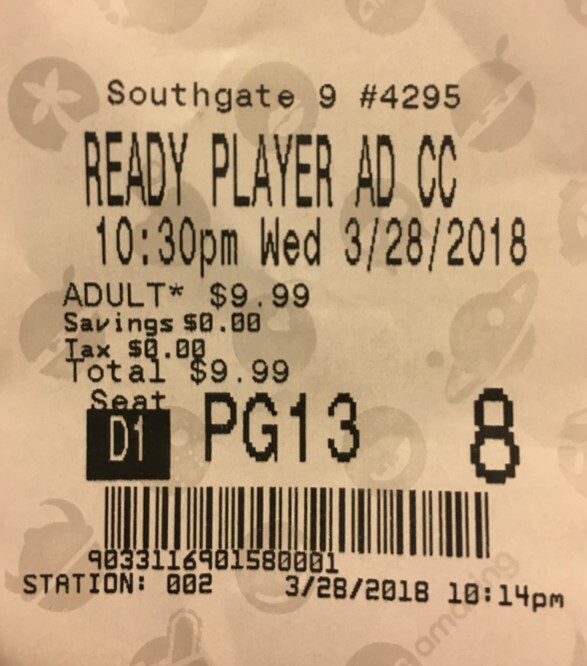 I can't promise that you will love it, but as for me and mine, well, let's just say that I'm saving my ticket, because this is the first time in a very long time that I've felt *quite* the way I did after seeing 1982's groundbreaking E.T. or while watching virtually every Friday night episode of 1986's Amazing Stories. It's just that nougaty and nostalgic. Granted, it's not perfect, but it captures Spielberg's essence so quintessentially that if it were his swan song...he could die happy and proud. Sappy here and there? Sure. Goofy at times? Of course. Cheesy now and again? You betcha, but who doesn't love sap, goof, and cheese?!? Ready Player One is so immersive, so contemporary/of this moment/on point, so true to form, and somehow—magically—is able to pivot from dystopian to utopian in the blink of an eye. I do not love the virtual reality of it all, but neither did the source material on which it is based (that being precisely the point), and the fleeting distraction is eclipsed anyway because the story has such heart and is so...real. Mark Rylance's adorably quirky character (James Halliday) describes it best when he says, "Reality is so...real." After all is said and done, this is a message movie about connection. 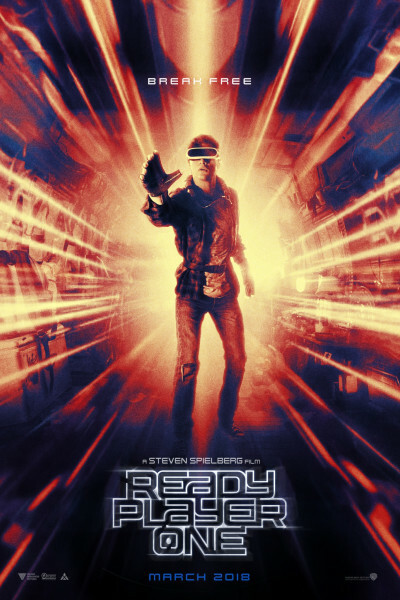 If you weren't planning on seeing Ready Player One and are a fan of the 1980s (which are clearly all the rage again, beginning somewhere around Stranger Things), get thee to thy theater posthaste. You will likely treasure the references, be nerdy-cool again, and get to answer all sorts of easy trivia questions asked by your children en route home. It is absolutely JAM-PACKED with songs, Atari games, books, TV shows, movies, MTV videos, and pop culture references writ large from the greatest decade that ever rocked Vans, matching zebra-striped thigh-bandanas, and zip-zap parachute pants. Looking to replay Dungeons & Dragons? Check. The Shining? Check. Van Halen, Twisted Sister's Dee Snider, and Hall & Oates? Checkity-check-check-check. Like I said, reliving that is—in and of itself—worth the price of admission. After all, what price youth, and what...exactly...would you be willing to pay to swim around in that fountain again (circa ages 10-20), and blast through the stormy town square at 88 miles per hour in a silver DeLorean to activate the flux capacitor and arrive back to the future? I think we both know the answer to that question, and it's one heckuva lot more than ten bucks.